The magnitude of space can be hard to comprehend for most human beings simply because we never get to experience its vastness first hand. We here about it in lectures or watch movies that try to come close to capturing what travelling through space must feel like. We can emulate it in a million ways but it is one area of life that is special enough to demand a personal experience. Sending out satellites like the Hubble and dedicated astronomical photographers allows us to come closer to this experience than ever before. These dedicated professional spend a bulk of their lives capturing visuals that are rare to experience in a way that is befitting their spectacular nature. 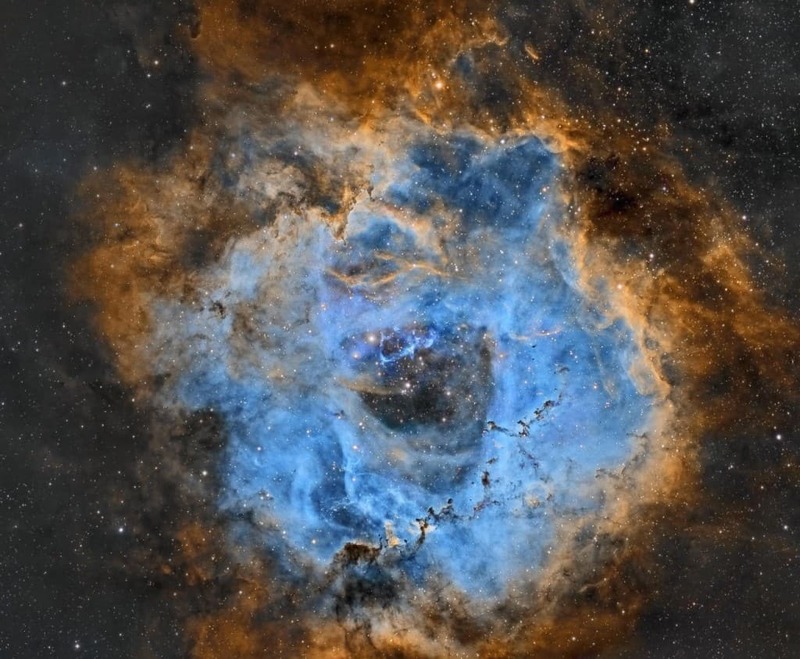 Here is a list of 20 astronomical photographs that were taking in 2015, most of which have been narrowed down to be exhibited in the Royal Observatory Greenwich. 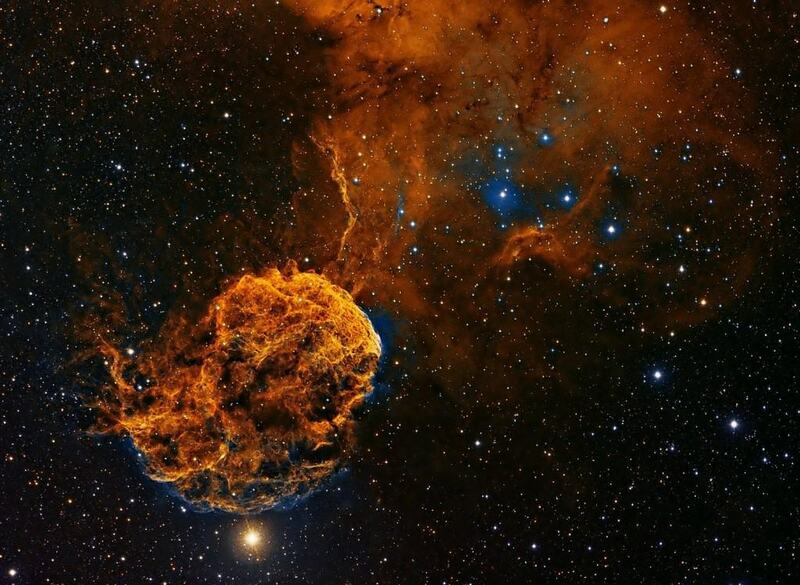 This captivating image showcases the Great Nebula. 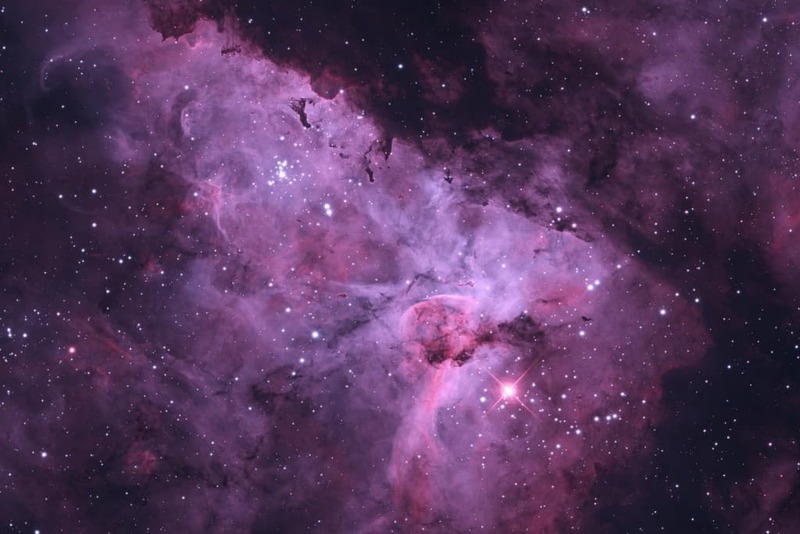 The image was taken in Carina Bi-color that allows us to further appreciate the details of the deep space spectacle. 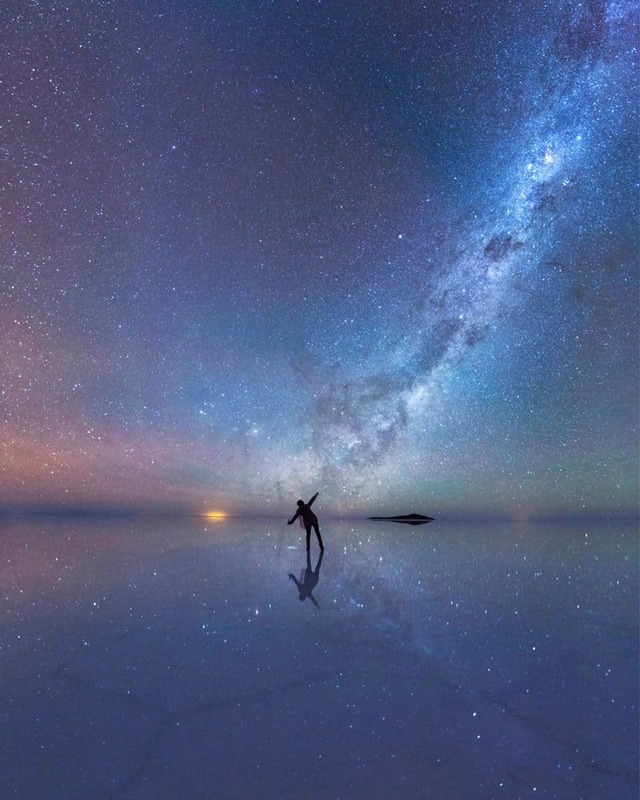 This photograph looks like it was taken on another planet altogether due to the optical illusion created by the rich sky and the thin sheet of water over the world’s largest salt flat – Salar de Uyuni located in Bolivia. 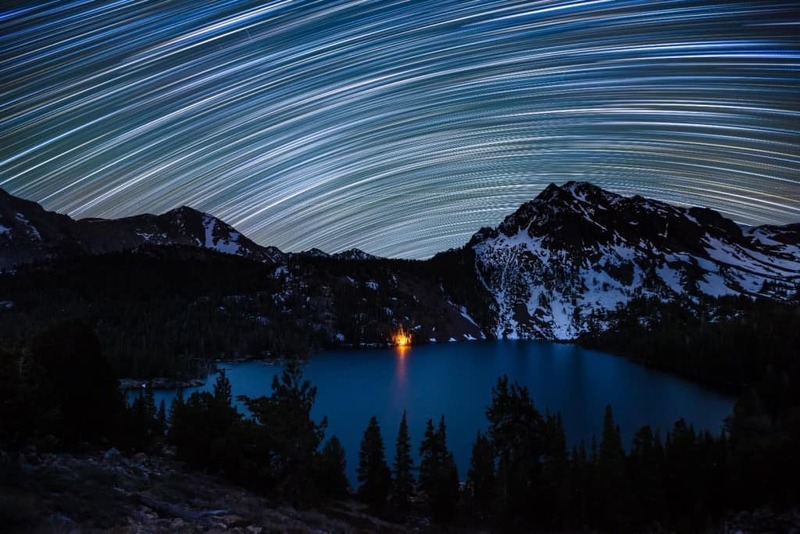 This magical photograph was taken over Green Lake in California. We can see a bonfire that was used as a constant in the image to highlight the trail of stars captured using long exposure times. This is a stunning picture of the Rosetta Nebula, one of the largest recorded Nebulas that boasts of a diameter measuring 50 light years. The photographer has used narrowband filters in order to capture a specific color of light which results in the vivid oranges and blues we seen in the image. 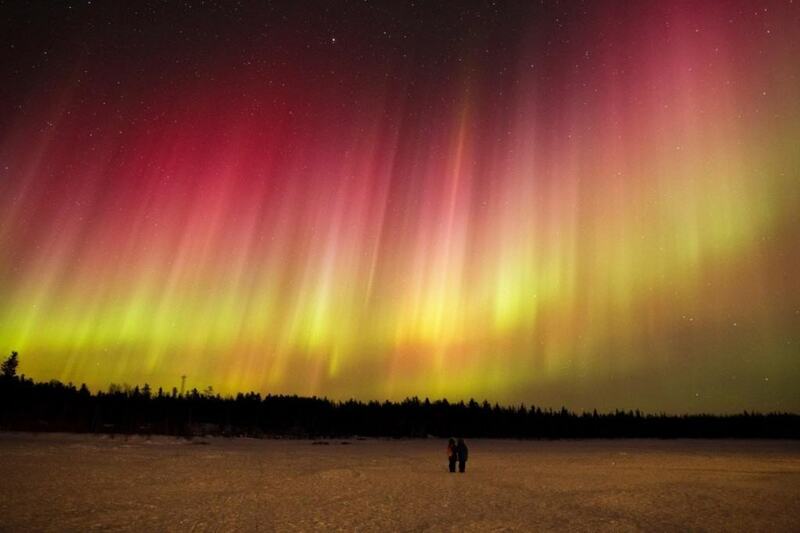 This is one of the lesser seen spectrums of the Aurora which makes this photograph doubly rare and special. The natural transformation of yellow into red is something everyone needs to see in person at some point in their life. 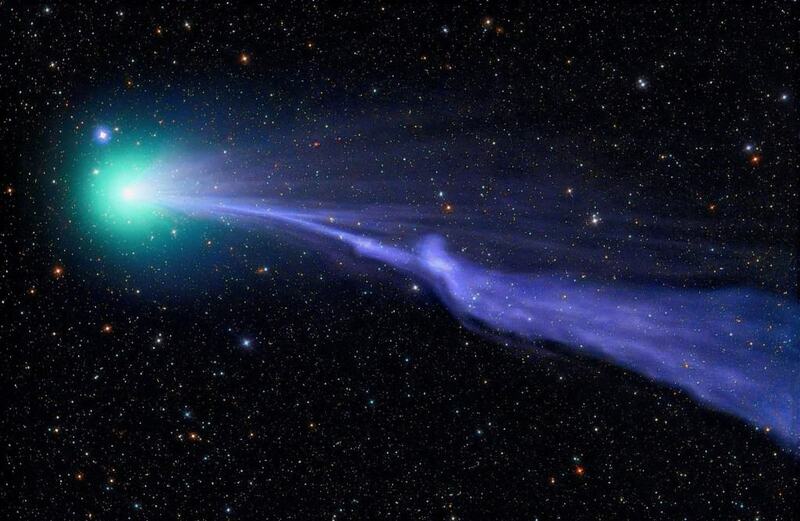 This beautiful image showcases the movement of Comet Lovejoy and the comet dust it leaves behind. This image was captured in the constellation of Sagittarius nearly 5,000 light years away. It is the Herschel 36, one of the rare star-forming nebulas that can be seen by the naked eye in perfect conditions by people living in min-northern latitudes. Although this Nebula has a nearly robotic name – IC443, its majestic visual is nothing short of breath-taking, defining everything beautiful that can be found in nature. It is a galactic supernova remnant from a star that could have exploded over 30,000 years ago and is found in the Gemini constellation. 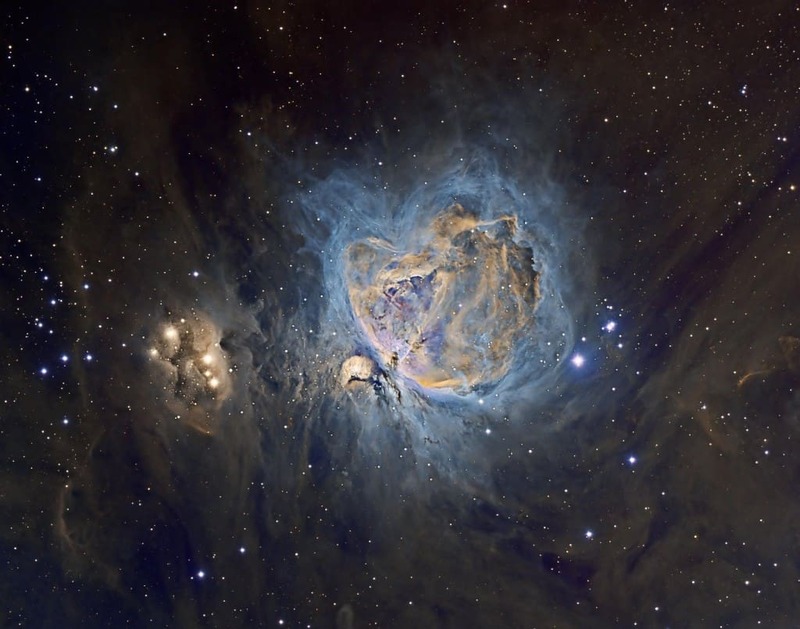 The Orion Nebula is one of the most popular one among astronomical photographers and this image does an amazing job of capturing the wider region of the Orion Molecular Cloud Complex. 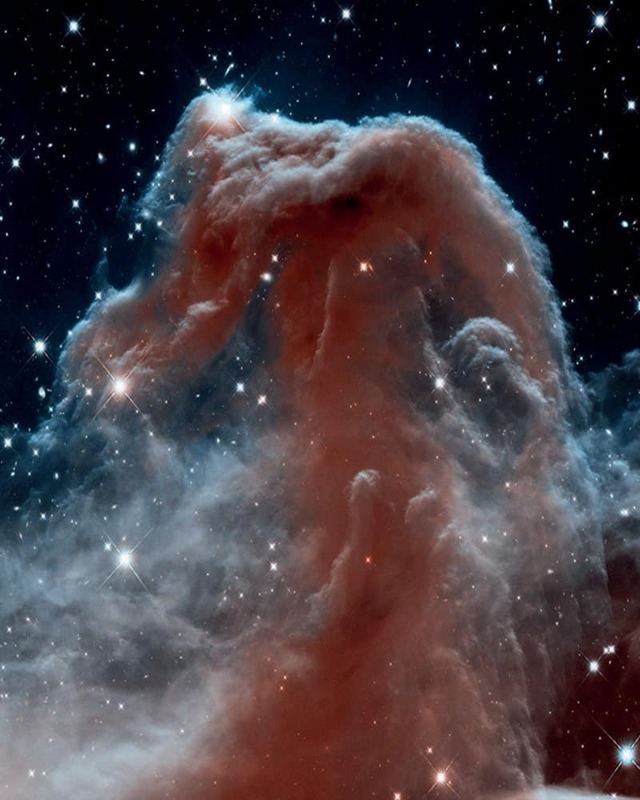 This houses not just the Orion Nebula, but also the Horsehead Nebula and the Running Man Nebula that can be clearly seen on the left side of the image. This image captures one of the other most popular spectrum that can be seen in the Aurora. 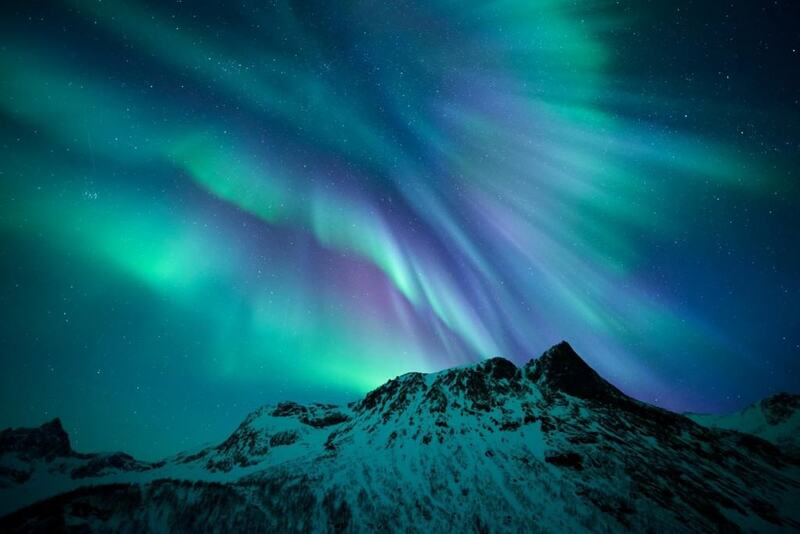 The bursts of purple within the greens is amazing and was taken in Norway on 21st January, 2015. 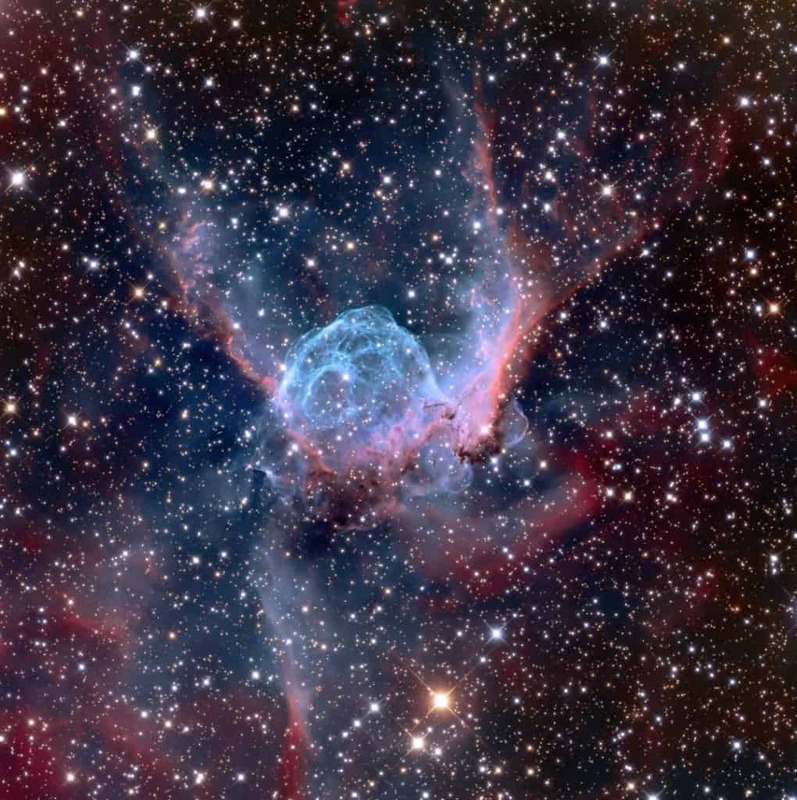 This mystical looking Nebula was named Thor’s Helmet for reasons that are very obvious. 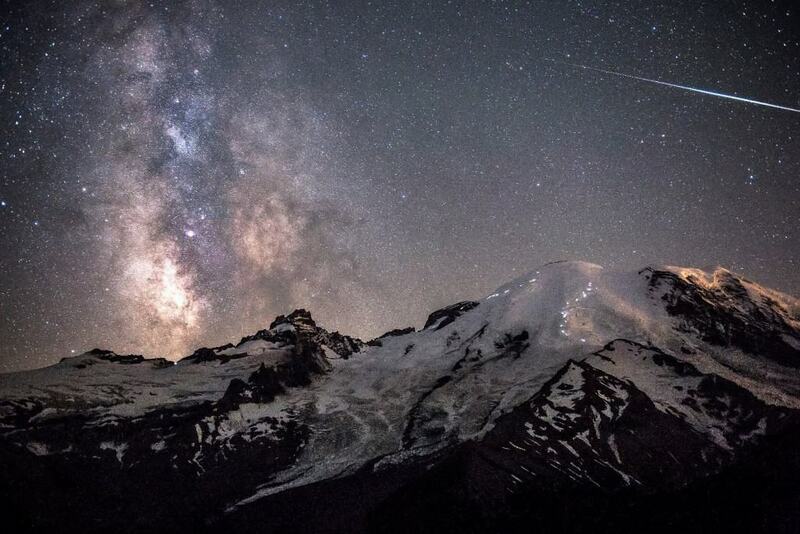 This stunning photograph was taken at a towering height of 4,392 m on the peak of Mount Rainier in Washington. The image is extremely busy, as we can seen a passing meteor rushing across the image, a glimpse of the vast solar system behind mountains and a group of headlamps glowing on the mountain itself, indicating a moving trail of mountaineers. This is the most commonly captured color of the Aurora but it does not make it any less visually stunning. What makes this image stand out is the clarity with which we can trace out the patterns of the Earth’s magnetic field above the waters. This picture was captured in the longest fjord in Norway. This photograph has such a large scope that it is almost hard to comprehend. 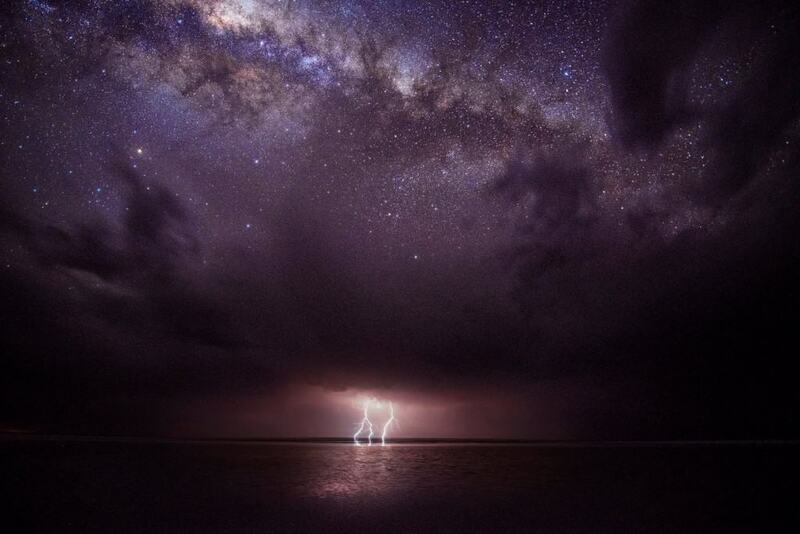 The color of the night sky and the millions of stars in the milky way fade away to form a ominous storm that lashes out a powerful bolt of lightning. 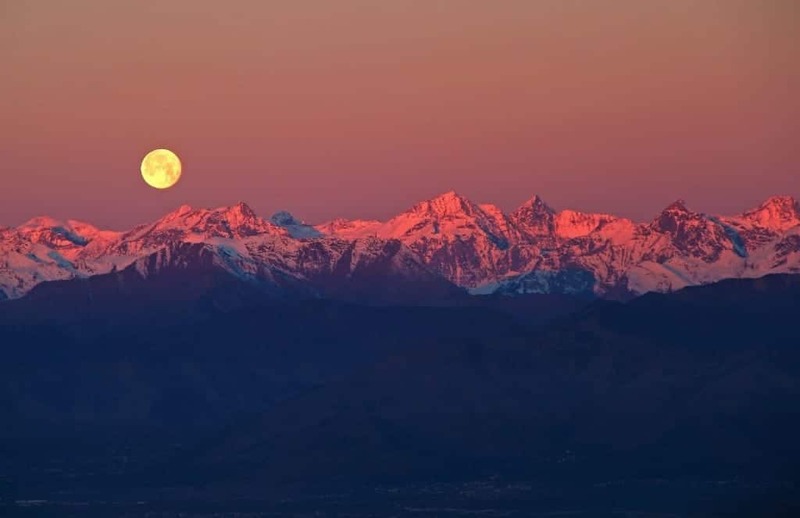 The vibrant orange that can be clearly seen on the Alps is an indication of the setting sun, further enhanced by the sight of a full moon. This image was taken at San Vito di Cadore, Italy during the afternoon. 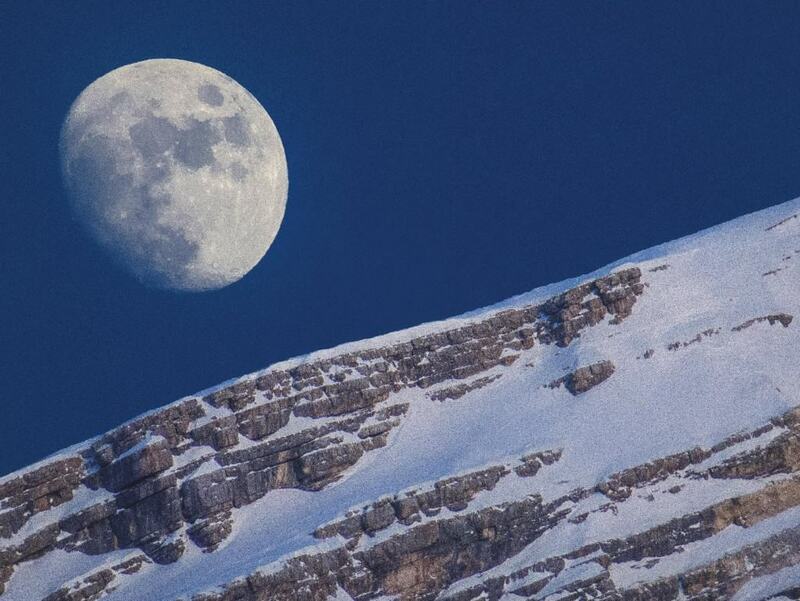 The Moon can be clearly seen in the background of the heavenly Monte Antelao. 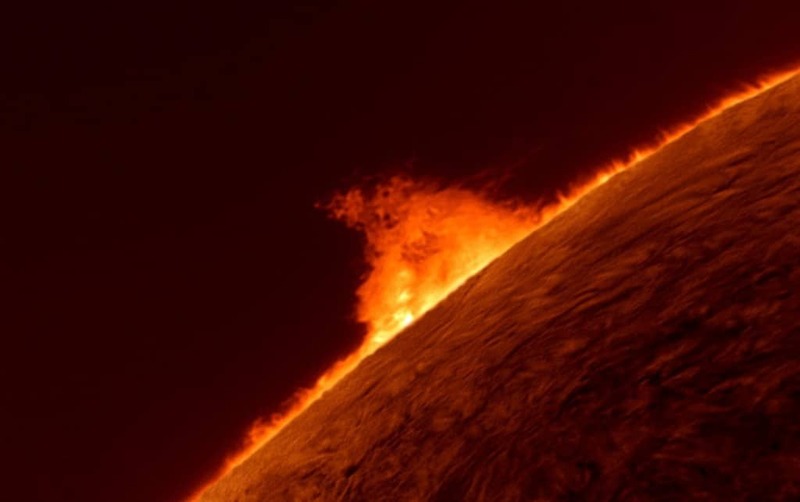 We can see a massive hot loop of plasma blasting out of the sun’s surface in this image. This is a regular occurrence, with the largest ever recorded one covering over 800,000 kilometers. 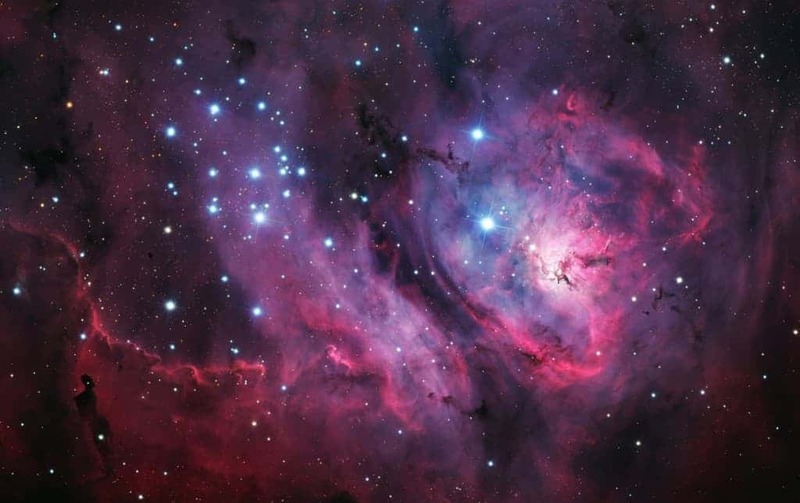 This nebula was discovered over a century ago but never before has a photograph managed to do justice to it. 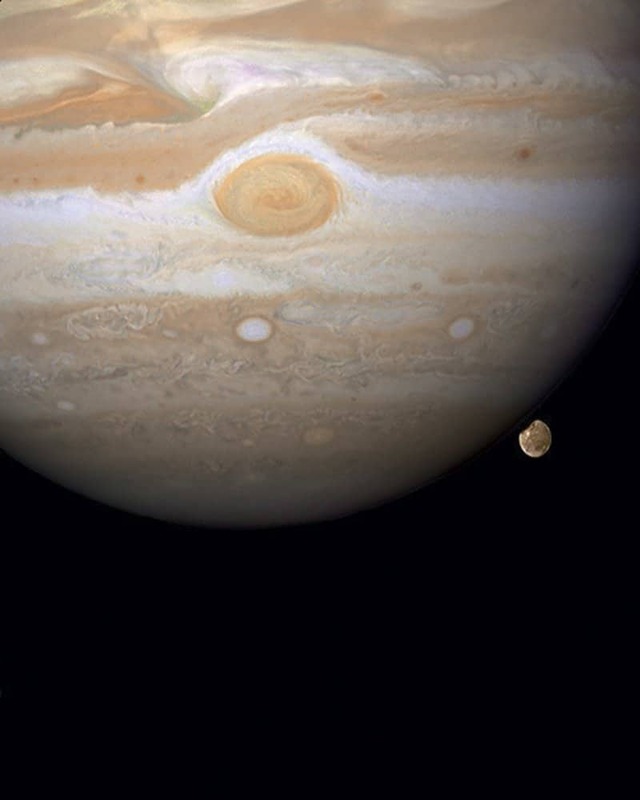 This image is important not because of the behemoth Jupiter that can be clearly seen in the foreground, but for its largest moon, Ganymede, that is seen ducking behind the giant planet. This particular moon is the largest in the solar system, bigger than Mercury. 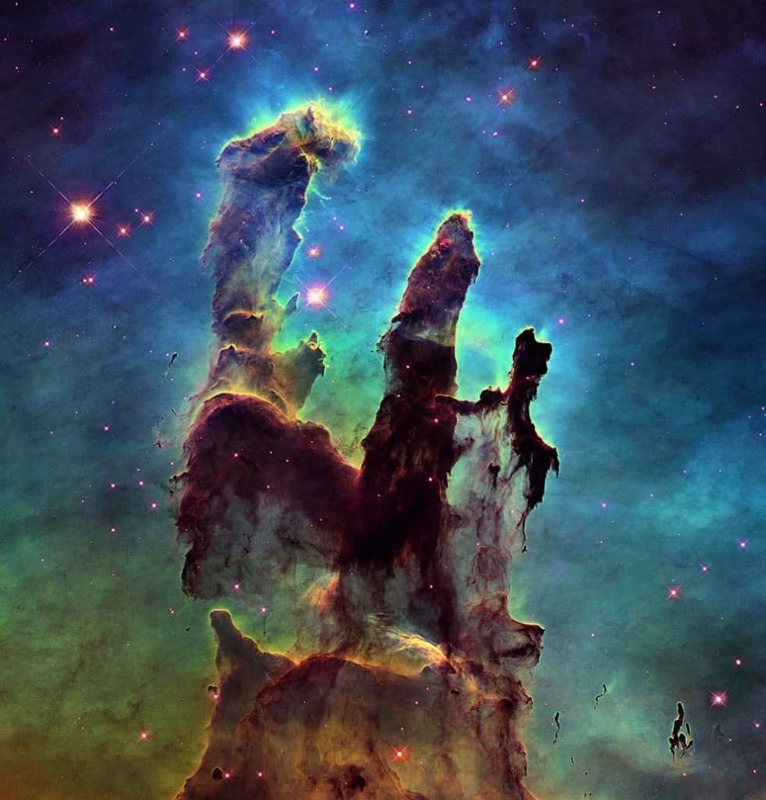 This stunning image of the Pillars of Creation located in the Eagle Nebula has become one of the most iconic images captured using the Hubble.